Nowadays it’s vital for every business to be partnering with a digital or SEO agency. Why? Because if your reliant on Google for leads & your wanting a conversion focused website to attract customers then a SEO or digital agency is the answer. Still to our amazement, nearly 50% of businesses still do not use a digital agency. How bizarre is that? When you work with a digital / SEO agency you get to decide on an online marketing plan and implement this. Working with a digital agency means that you can quickly ramp up your online efforts by scaling up your SEO, content marketing, social media as well as the all important conversion rate optimisation. Focusing your energies here will quickly drive new business in the insanely competitive online space. Finding the right agency to partner with is often difficult. You have to find the right one that is big on communication and big on results. You can’t have one without the other. A digital agency has to be in tune with your business goals, and be on the same page when it comes to this. A massive problem for most businesses is the range of choice they have when it comes to picking the right digital partner. It can get confusing and a lot of people end up choosing a complete dud. Wondering what to ask your SEO marketing agency? Here are some great questions. 1) Why is your agency good for us? Don’t believe everything they tell you. Yes, they might have achieved great results for a couple of companies but will they be able to work with you and your business culture? How do they communicate and does it seem like the right fit? Do they work with large clients and perhaps as a small business you might not get the attention you want. Most of all don’t get overly impressed with technical jargon that’s spewed out by them. A lot of what they say is there to impress you. The aim here is to find a digital agency that seems like the right fit. 2) What is their unique selling point? All agencies should have at least 1 USP. This is where you ask them this question and get them to sell it to you. If your not liking the answer, you can easily look elsewhere. Again, look for the right fit. Someone your comfortable with that can also show you tangible results. 3) Can you help me reach my business goals? All businesses have different goals and you have to find an agency that understands this. Be direct, be blunt and see if they can help you get to where you want to be. Ideally you want an agency to be a partner that can address your digital marketing concerns quickly and communicate how they are helping you each month. They need to be taking a proactive approach to this by looing at your competition, seeing what they are doing online and then make sure they are doing it better. Most businesses goals are more customers, more revenue & growth and this must be part of your agencies strategy as well. If they are just about simple link building without a digital strategy then this is not the path you should go down. That’s old school SEO & you definitely don’t want to be part of this. 4) How fast are they to respond? Ask them how quickly they respond to changes in your industry. If there is a new product or service how fast are they to take this on board and promote it? Digital agencies have to be dynamic and respond immediately to the shifting business environment. Ask them also how quick they are to respond to your emails. If they say within a couple of hours this is a good sign. If you start using them and they slacken off with response times you can always refer them back to this question. In my opinion, you have to respond that hour. This is the age of high speed internet and you have to be quick. Well at least this is how we operate and conduct our business. We are super fast with our response times. If your agency is slack with communications then it may be time to look elsewhere. 5) Do you work with any other clients in my industry? It’s not bad if they are working with someone in your field. A lot of people would disagree with me and say that it’s a conflict of interest but that’s not true. Why? Because you know where to get links, you know who the influencers are and you know what content to write. It’s actually an advantage as your agency will already understand how competitive the space is and what’s going on. 6) How are they marketing themselves? The proof is in the pudding as they say. How are they getting new sales and where do they promote themselves. You are communicating with them which is a good thing ( so you must have found them online somehow) but ask them for a list of keywords they are trying to rank for and do your own Google search. Make sure their claims are true. 7) Do you know my local market? When is comes to getting new business local search is so important. This is why you need an agency that has a thorough understanding of your local market and area. What this means for your business is that it’s best to go with a digital agency that’s nearby; one that knows the area. We are in Surry Hills in Sydney for example, so this means businesses within a 5-10km radius of us should consider us as local. 8) Can I speak to some of your clients? If they have happy clients they are going to want to tell you about this. In fact, make a few calls and see what experience they’ve had. Also see some of their case studies and check the results for yourself. Also, check a few of their online reviews. Also, ask them how they have been able to improve rankings, sales and conversions for clients in competitive niches. You might be in such a space as well so you want reassurance that they will be able to deliver on their promise. 9) Who will be my main point of contact? This is a really important question as you want to be working with someone you get along with. Most likely you would have spoken initially to a suit or account manager with slick sales talk and refined sales tactics. Then, you might be dealing with some tech geek who is bad on their communication and emails. Ideally, you want to be working with 1 point of contact and be able to establish a good working relationship with them. Also, see if they are able to be contactable by phone or is it all via email? You need rapport and to feel a certain level of trust with this person as after all, they hold the key to your business success. You also want to see how often they will be providing reports and what level of reporting they provide. Are these monthly or every couple of months? Many SEO agencies will try to hide their work to avoid being scrutinised in depth. Watch out for this! There are many SEO agencies in Sydney claiming to be what they’re not. In other words they are not really as good as they say they are. I’ve seen it and heard it all before. I’ve spoken to businesses who have made the mistake of partnering with less than ethical agencies and the results have been horrific. 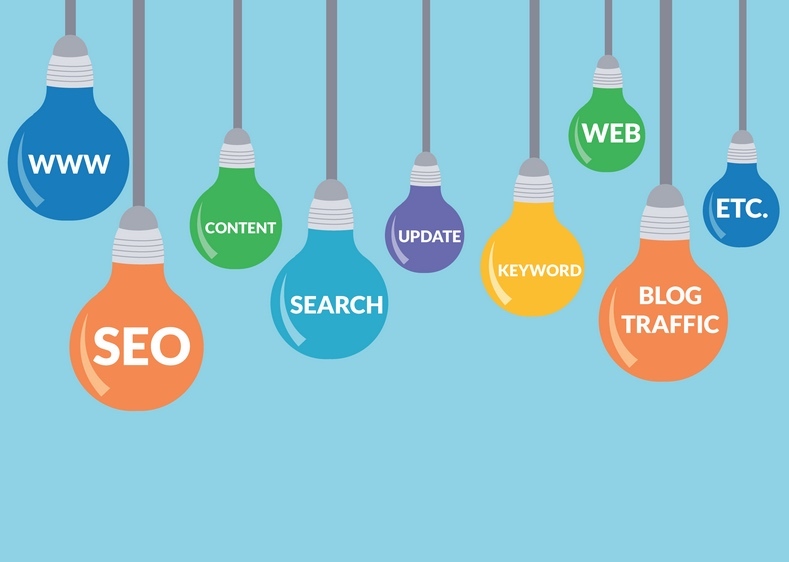 Choose wisely or contact us here at SEO Sydney Experts on 02 9360 8514 – we will help you turn your sales slump around very quickly with our powerful SEO strategies. Previous Previous: Why doesn’t Google tell us about their algorithm changes? Next Next: Is quality content good for SEO rankings?